Publisher: She Writes Press, 2016. Maddie is a seventeen-year-old recent graduate contemplating her future. Although she loves numbers and scientific rational thinking, she has been accepted into a university program for fine art. She creates collages from photographs and unwanted scraps of material. While waiting for her pictures to be developed, the camera store she is in is suddenly flooded from a water main break. Maddie starts to panic, but is quickly rescued by a young man. Aiden and Maddie instantly bond over their frightening experience and form an interesting friendship. Maddie is dealing with emotions from her adoption, as well as the consequences of her brother's criminal behavior. Aiden is dealing with his own demons, namely the guilt over his younger brother's accidental death and the life-changing decision he is faced with--whether or not to keep his infant daughter. When Maddie learns Aiden is considering putting his daughter up for adoption, she tries to convince him to keep her. 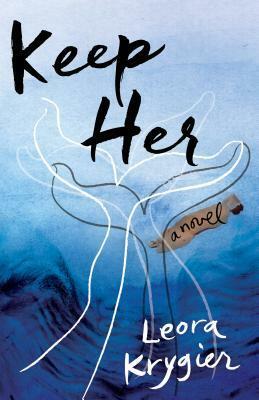 Keep Her is a quick interesting read that will engage fans of contemporary fiction. Maddie and Aiden's relationship blooms very quickly, but throughout the novel there are flashbacks to Aiden's mission to save endangered whales that suggest that maybe Aiden's been waiting for Maddie for a lot longer. Fans of meant-to-be romance stories will not be disappointed.